Contemporary, Grand Central Publishing, Great Read, Re-reads!, Review, Suspense, Toe Curler!! Kendall Deaton with her 3 month year old son Kevin is on the run for her life. Witnessing heinous murders committed by a group calling themselves The Brotherhood of which her husband Matt and father-in-law Gibb were prominent members of, Kendall has no choice but to disappear from the face of the earth so that the members of The Brotherhood, which had its members even in federal law enforcement agencies had no chance of finding them. Kendall and her son are soon found by FBI agents Pepperdyne and John, who is assigned the task of delivering Kendall to the authorities as the key witness in the trial to convict the members of The Brotherhood. However, a fatalistic crash of the car they are travelling in lands John with amnesia giving Kendall the chance to once again flee and make her way to her originally planned hide out. In the process to waylaid the authorities, Kendall proclaims John to be her husband & John thwarts her plans of fleeing into the night when he demands that Kendall couldn’t leave her ‘husband’ to fend for himself especially while supporting a broken leg with the amnesia. Amidst the mistrust between Kendall and John stirs the beginning of an attraction that the readers can’t help but feel to their bones. Sandra Brown does an excellent job of weaving the story of the magic that happens between Kendall and John while relating the horrific events that occurred in Prosper, South Carolina where Kendall worked as a public prosecutor, that led to this tumultuous turn of events. This is a highly fast paced read, one that I guarantee cannot be put down with engrossing characters and a great plot to keep you riveted to your seat till you read the last page. This is actually a re-read for me. 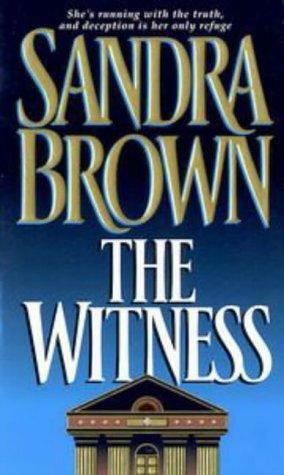 This was the second book that I read from this author and I have always remembered it to be the one that got me hooked on Sandra Brown’s books and I have to say the same magic wove itself on me this time too.